CONSUMER SWITCHING BEHAVIOR IN BANKING INDUSTRY: CAN CONSUMER BASE BE PURCHASED, OR EARNED? Sık kullanıcı programları bankacılık sektöründe yaygın olarak kullanılan stratejik bir araçtır. Çalışmada tüketicilerin mevcut finansal hizmet sağlayıcıları bankayı değiştirmelerine ikna emek amacıyla nakit paranın teklif edildiği Türkiye’ye özel bir sık kullanıcı programı incelenmiştir. Yazında değiştirme engelleri ile değiştirme niyeti arasında ilişki olduğu belirtilmiştir, ancak bu ilişkiler sektör spesifik olarak test edilmemiştir. Keşfedici araştırma yapısında tasarlanan çalışmada literatür tarafından önerilen ilişkiler gerçek hayat vakası üzerinden test edilmiştir. Çalışmanın amacı tüketicilerin sadakatinin nakit para ve tüketicilere sunulan diğer faydalar ile satın alınıp alınamayacağını, bir örgütün çalışanlarına teklif edilen belirli bir sık kullanıcı programı sonrası tüketicilerin mevcut hizmet sağlayıcılarını değiştirip yeni bir hesap açıp açmayacaklarını aydınlatmaya çalışmaktır. Araştırmada tüketici değiştirme engellerinin değitirme niyeti üzerindeki etkisini inceleyerek tüketici sadakatinin satın mı alındığı yoksa kazanıldığı mı incelenmiştir. Yapısal eşitlik modellemesi kullanılarak 212 katılımcının yer aldığı veriler incelenmiştir. Araştırma bulguları bankacılık sektöründe taklit edilebilir değiştirme engellerinin değiştirme niyetini sağlamakta kullanışlı olmadığını göstermektedir. Loyalty membership programs are widely used as a strategical tool in banking. In the paper a unique loyalty membership program in Turkey in which consumers are offered cash in order to convince them to switch their financial service provider, bank, is studied. Literature supports evidence for relationships between switching barriers and intention to switch, however literature lacks studies testing the assumptions of theories on consumer loyalty in specific industries. Exploratory in nature, the study tests the literature supported relationships based on a real life case. The paper aims to enligthen whether the consumers’ loyalty can be bougth with cash and other provided benefits to make customers switch their current service provider into new account after a special loyalty membership program offered for an organization’s employees. The purpose of the paper is to research effects of switching barriers on intention to switch in order to understand whether consumer base can be purchased, or consumers are earned. Structural Equation Modeling is performed with the data collected from a survey of 212 employees of an organization. The results suggest that, in banking sector, imitable switching barriers are not useful against switching intentions. Burnham, T. A., Frels, J. K., & Mahajan, V. (2003). Consumer switching costs: a typology, antecedents, and consequences. Journal of the Academy of Marketing Science, 31(2), 109-126. Ehrenberg, A. S., Goodhardt, G. J., & Barwise, T. P. (1990). Double jeopardy revisited. The Journal of Marketing, 82-91. Ganesh, J., Arnold, M. J., & Reynolds, K. E. (2000). Understanding the customer base of service providers: an examination of the differences between switchers and stayers. Journal of marketing, 64(3), 65-87. Jones, M. A., Mothersbaugh, D. L., & Beatty, S. E. (2002). Why customers stay: measuring the underlying dimensions of services switching costs and managing their differential strategic outcomes. Journal of Business Research, 55(6), 441-450. Jones, T. O., & Sasser Jr, W. E. (1995). Why Satisfied Customers Defect. Harvard business review, 73(6), 88-91. Jung, H. S., & Yoon, H. H. (2012). Why do satisfied customers switch? Focus on the restaurant patron variety-seeking orientation and purchase decision involvement. 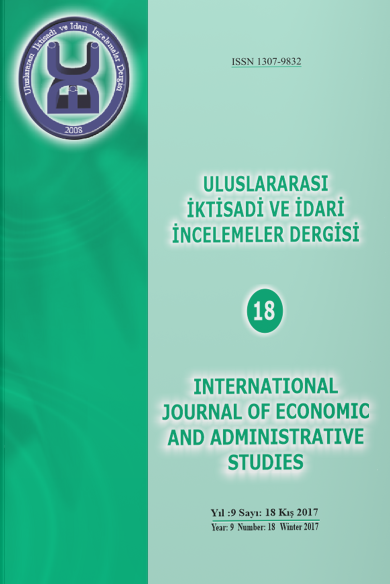 International Journal of Hospitality Management, 31(3), 875-884. Juntunen, J., Grant, D. B., & Juga, J. (2010). Short-run vs long-run trade-offs in outsourcing relationships: Impacts on loyalty and switching propensity. Strategic Outsourcing: An International Journal, 3(3), 211-225. Matzler, K., Strobl, A., Thurner, N., & Füller, J. (2015). Switching experience, customer satisfaction, and switching costs in the ICT industry. Journal of Service Management, 26(1), 117-136. Ngobo, P.-V. (1999). Decreasing returns in customer loyalty: Does it really matter to delight the customers? Advances in Consumer Research, 26, 469-476. Oliver, R. L. (1993). Cognitive, affective, and attribute bases of the satisfaction response. Journal of Consumer Research, 418-430. Park, J.-Y., & Jang, S. S. (2014). Why do customers switch? More satiated or less satisfied. International Journal of Hospitality Management, 37, 159-170. Ranaweera, C. (2007). Are satisfied long-term customers more profitable? Evidence from the telecommunication sector. Journal of Targeting, Measurement and Analysis for Marketing, 15(2), 113-120. Stauss, B., & Neuhaus, P. (1997). The Dissatisfaction Potential of Satisfied Customers—The Qualitative Satisfaction Model— Advances in Services Marketing (pp. 111-131): Springer. Suh, J.-C., & Youjae, Y. (2006). When brand attitudes affect the customer satisfaction-loyalty relation: The moderating role of product involvement. Journal of Consumer Psychology, 16(2), 145-155. Te’eni-Harari, T., Lehman-Wilzig, S. N., & Lampert, S. I. (2009). The importance of product involvement for predicting advertising effectiveness among young people. International Journal of Advertising, 28(2), 203-229. Vázquez‐Carrasco, R., & Foxall, G. R. (2006). Positive vs. negative switching barriers: The influence of service consumers' need for variety. Journal of Consumer Behaviour, 5(4), 367-379. Wu, J., DeSarbo, W. S., Chen, P.-J., & Fu, Y.-Y. (2006). A latent structure factor analytic approach for customer satisfaction measurement. Marketing Letters, 17(3), 221-238.